If you want to get all technical, it’s Les Miz because they tote the name but when I first saw it I thought, “Dear god, this ending is pretty uplifting!” So at the end Jean Valjean is dying and he seems pretty cool with it. 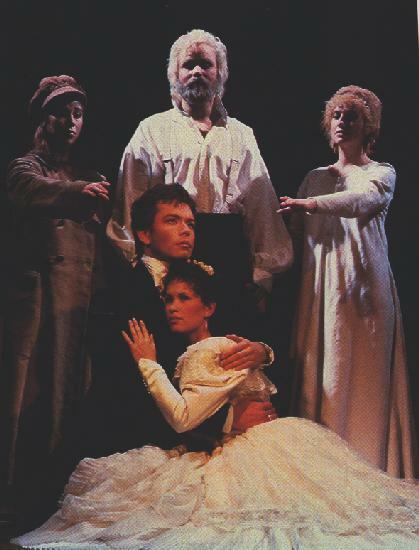 Cossette doesn’t want him to die but Fantine, who is a like a vision, is all like Jean you have been awesome now come to Heaven it’s awesome here. Sure Jean is dying but he’s not sad, in fact this musical makes death look pretty nice. Everyone who is died seems pretty happy and they’re super hopeful. I guess the Miserable people are still alive? This musical promised me Miserable people and you don’t really get it at the end. Don’t misunderstand, I love the ending and it’s great but miserable it is not. Now if we compare it to the Notre Dame de Paris ending proper, Le Miz is even more upbeat. 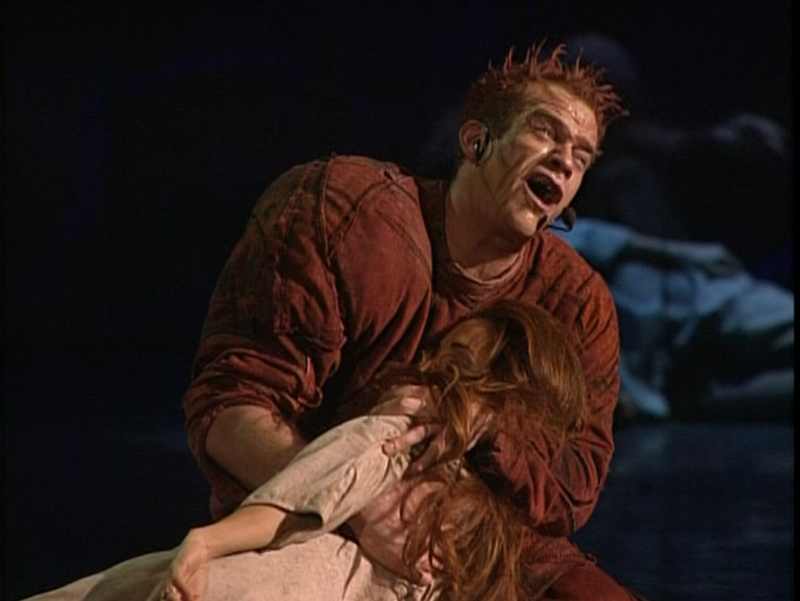 Esmeralda has just been executed and Quasimodo is mourning her while asking her to dance once again and heavily implies his own impending death. This ending is so sad that after the curtain call the tradition is to have the cast reprise the opening song while smiling so that audience is totally bummed. Which ending do you find more Tragic? Clearly, I’m in the NDdP camp. A while back someone posted this list on Fanfiction.net and I think this says it best.